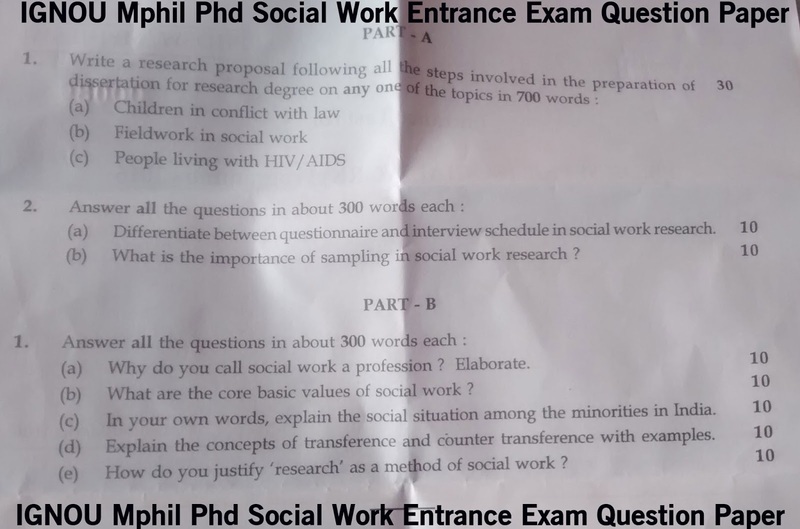 With this post, I am sharing the IGNOU M.phil / Phd Social Work Syllabus for the Entrance Exam. The entrance examination is based on MA in Social Work or MSW syllabus. The question paper comprises of essay type questions including long answers and short answer questions. Question paper will be divided into 2 parts comprising of 50 marks each. Part- A will be focused on Research Methodology whereas Part-B will be pertaining to Core Social Work discipline. Candidates will be asked to attempt all the questions. This entry was posted in IGNOU M.Phil Phd Entrance Exam Social Work and tagged IGNOU M.phil Social Work Syllabus, IGNOU Phd Social Work Syllabus Entrance Exam. Bookmark the permalink.